2 images. 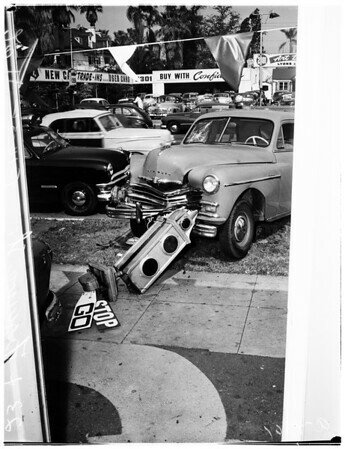 Auto accident, 14 May 1952. 23rd Street and Figueroa Street. (Sleeve reads: A-9561).